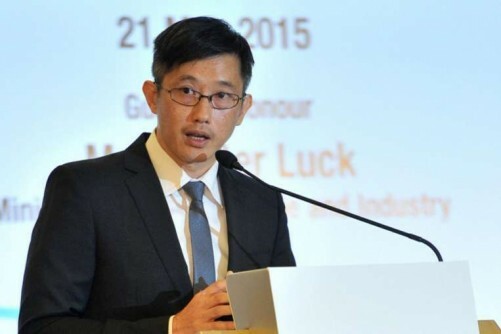 SINGAPORE - This year will be one of low growth - as economic forecasts have indicated - and some sectors will be affected more than others, said Mr Teo Ser Luck, Minister of State for Manpower on Monday (Jan 25). The Government will try to help small- and medium-sized enterprises (SMEs) as they face cost challenges from a tight labour market, Mr Teo told a press conference at the Singapore Business Federation (SBF) office. He added: "The foreign worker levy will stay put. I don't want to raise expectations because the manpower policy we implemented is ongoing, and there's a lot of refinement along the way, so we have to look at the situation." He encouraged SMEs to "continue to build up the Singaporean core, and make sure that Singaporeans have equal job opportunities". SBF's SME committee was presenting its recommendations for Budget 2016. It called for the Government to adopt a new paradigm for enterprise growth prioritising SME development, and help them tide over immediate cost constraints. SBF SME committee chairman Lawrence Leow said: "In Budget 2015, the Government deferred the planned increases to the foreign worker levy by one year. Here, we are suggesting to defer the increases further, and conduct a review to reduce the levy quantum taking into consideration the latest inflow of foreign workers." Mr Teo, together with Dr Koh Poh Koon, Minister of State for Trade and Industry, are co-advisers of the SME committee. Dr Koh encouraged SMEs to press on with restructuring and building a "pipeline for innovation". Dr Koh said: "The Government will continue to support the SMEs strongly because SMEs form a very important part of our economic ecosystem."